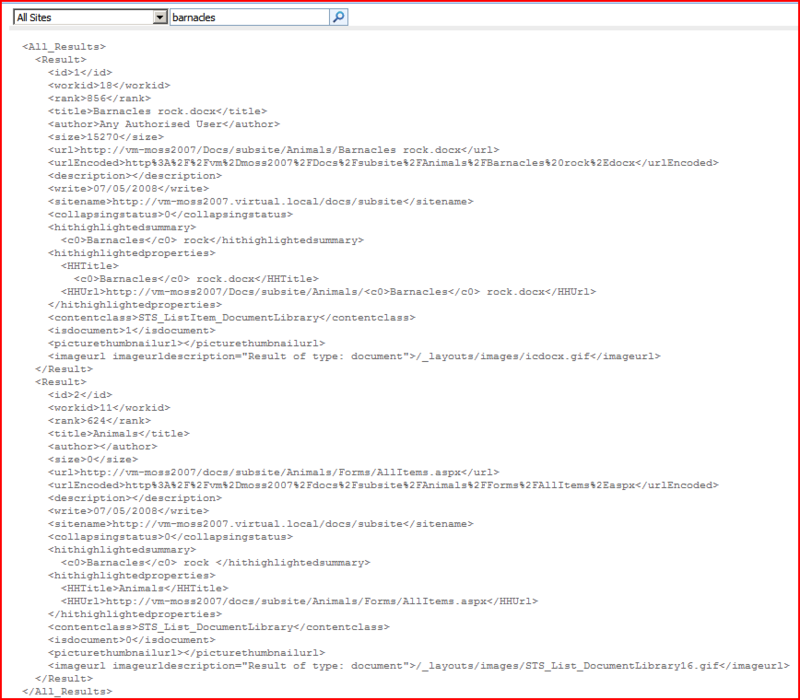 So I’ve just started customising SharePoint Search results for the first time. It’s an area that I’ve never really touched before, to be honest – I’ve set up the crawling, and that’s the limit. Now I find myself reverse engineering a colleagues code in order to fix it. 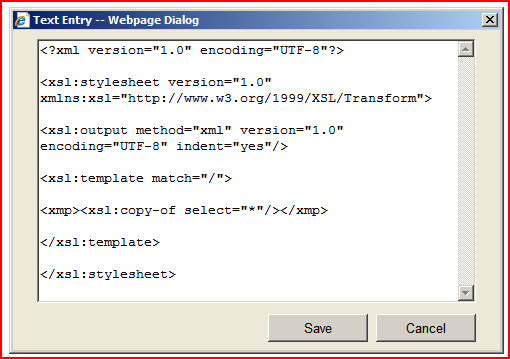 An obvious question is, what does that source XML look like. Well, it’s whatever you get back from the web service, and there are various ways of find that, but I found a neat little solution on a post from Tobias Zimmergren’s blog (in fact, it’s an interesting looking series for a search rookie like myself – I think I’ll have to read that). I’ll blatantly plagiarise that in a bit. Basically, his idea was to define some XSLT that just emits the XML unaltered, and then look at what you’re getting back from the search service on the search results page. 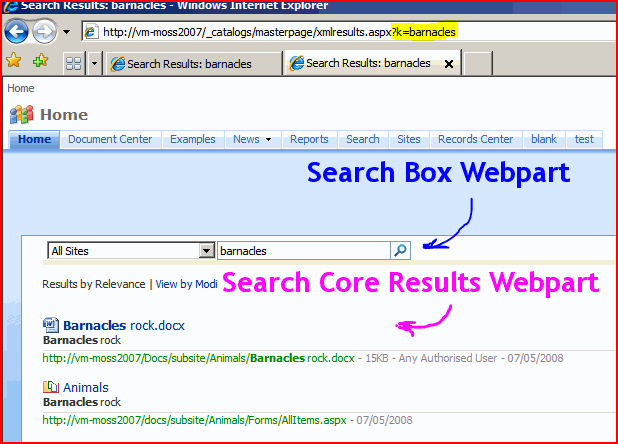 will search for documents about, um, barnacles. Note: Don’t just copy the above text – use this link. WordPress has changed the speechmarks in the code above, and it won’t work. Now I can get on with Styling it.